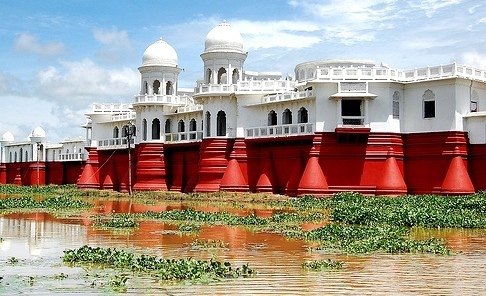 ﻿﻿﻿﻿Neer-Mahal – also means a ‘palace on water’, is located at Melaghar, in Tripura. 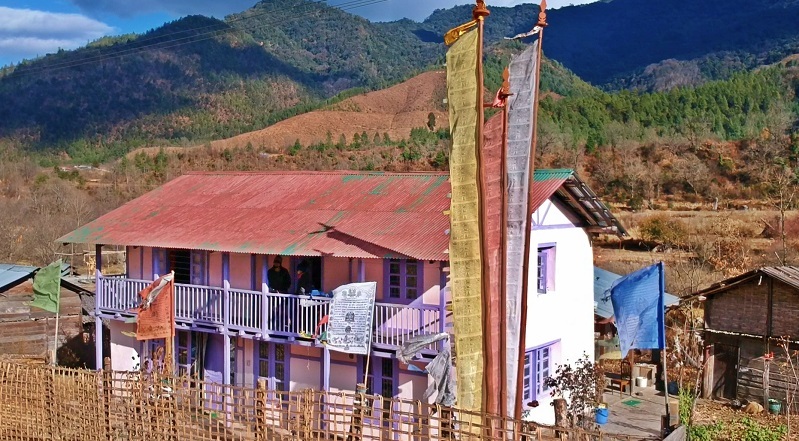 It is about 55 km from Agartala. The palace was built by King or Maharaja Birbikram Kishore Manikya Bahadur in the middle of the lake Rudrasagar in 1930. The palace is the 2nd largest of its kind in India after the Jalmahal in Rajasthan and the only one in Eastern India. 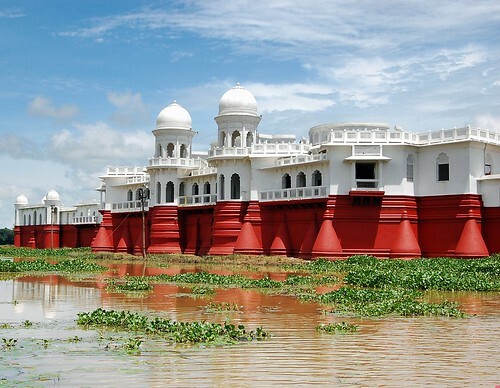 Known as ‘lake palace’ of Tripura, Neer-Mahal was constructed as a summer residence. It was Maharaja Birbikram Bahadur’s idea to build a palace in the beautiful Rudrasagar lake and in 1921 he accredited the British company Martin and Burns to construct the palace for him. The company took nine years to complete the work. Maharaja Birbikram Bahadur belonged to the ‘Manikya Dynasty’ which is the 2nd largest dynasty in the world. The palace is the establishment of Maharaja’s great taste and his fascinating idea of blending Hindu and Muslim traditions and cultures. The palace is divided into two parts. The western side of the palace is known as Andar Mahal. It was made for the royal family. The eastern side is an open-air theatre where drama, theatre, dance and other cultural events were organized for the enjoyment of Maharajas and their royal families. The palace has 24 rooms in total. Neer-Mahal has two stairways inside leading down to a landing on the water of Rudrasagar Lake. Maharajas used to go by motor boat to the palace from ‘Rajghat’.